Remember that? That was awesome, wasnÃ¢â‚¬â„¢t it? Now that Chapman is gone and the window on the last great version of the Reds franchise has shifted, it seems that, small sample size errors aside, the window on JJ HooverÃ¢â‚¬â„¢s potential upside might have shifted as well. Perfect timing, right? What happened? And what might he do to right the ship with the time he last left? LetÃ¢â‚¬â„¢s delve into some stats to see what the numbers tell us. First up: JJ Hoover. The biggest changes for Hoover this season appear to be pitch selection and fastball velocity. Above, you can see that his slider is now his number two pitch. HeÃ¢â‚¬â„¢s throwing it almost twice as often as he did previously. Additionally, his curveball frequency has dropped dramatically, leaving Hoover as essentially a two-pitch pitcher. Where, previously, he had a good mix of sliders and curves after his fastball, now he relies almost completely on his slider and uses his curve sparingly. The last of variety might have made Hoover a bit easier to read, and that might explain the literal explosion of runs heÃ¢â‚¬â„¢s allowed so far this season. Here, we can see heÃ¢â‚¬â„¢s lost a little over 1mph on his fastball, and his change has dropped by almost 2mph. Additionally, if heÃ¢â‚¬â„¢s relying more on his slider (which averages 84) than his curve (which averages 74), we have only a 6-8mph variance in speed versus a 16-18mph variance. This means that, in addition to seeing primarily two pitches, hitters are also seeing pitches that are a lot closer in velocity. They donÃ¢â‚¬â„¢t have to worry about timing as much with such a low variance. Now, we can see the results. The percentage of pitches a batter swings at inside the strike zone (Z-Swing %)Ã‚Â has risen dramatically, and contact on pitches thrown outside the strike zone (O-Contact %)Ã‚Â has dropped, meaning Hoover isnÃ¢â‚¬â„¢t fooling the hitters anymore. They know when heÃ¢â‚¬â„¢s going to throw strikes, so they wait on him. Chapman was always an elite closer. His fastball dominated in ways that continue to make us drool. But he didnÃ¢â‚¬â„¢t reach an otherworldly status until 2014 and 2015, when he mixed in a greater percentage of sliders and changeups. Hoover appears to be on the downslope of his effectiveness curve, but if he takes a cue from Chapman and tosses some variety, he might fool the hitters a little more often. Or, at the very least, prove more effective than a batting tee. Either would be welcome. 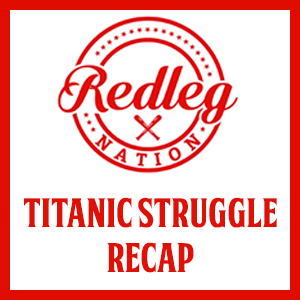 Recap: Reds lose. Rinse. Repeat. Hoover has terrible mechanics. He falls off the mound to the first base side. This results in his fastballs going away to RH and high. It is also very straight, with no run at all. His curve also stays flat for the same reason, not finishing with his wrist going down. He gets himself into hitter friendly counts, then bam! I remember this going on his whole carrer, and not sure why anyone had faith in him ever. Maybe he had a few mop up situations where he came out OK, but he was never a lock down guy. I’m at a disadvantage. Living in Florida, I don’t get to actually watch the games as much as I used to. I haven’t actually SEEN him pitch this season. I wanted to do a review of his mechanics as well … but I have four kids under 6 years old and they picked this last week to be particularly difficult. Is he particularly sloppy compared to previous seasons? Joe, This year in particular Hoover looks too heavy, cumbersome, and just plain uncomfortable on the mound for lack of a better way of saying it. I did a quick check on him over the weekend using Baseball Reference. His failure rate last year in Save Situations was in the 28% range ( 0 saves, 7 blown saves and 18 holds). Of course most of these were pitching in the 8th inning as setup man for Chapman. So, I’m not sure his issues relate to changes between this year and last. I haven’t seen JJ much this season, but when I have it appears to me that with the drop in velocity on his fastball has come a drop in movement. It’s much straighter than it has a right to be. Stir that in with lower velocity and you have a recipe for whiplash. I agree with the point that he is so much easier to time because the pitches are close to the same speed and don’t dart aggressively inside the strike zone. The movement he is getting is from the ball bouncing off the plate. If I am in the batters box and I see movement, I’m letting it go. Interesting, Joe. Drops in velocity are always worrisome. As the weather warms up, I’ll be watching to see if his velocity warms up, as well. His velocity is only lower compared to last year, though (unless I’m reading the chart incorrectly). My eyes have always told me that he had little margin for error, and it would seem to follow that he may be missing his spots. His fastball velocity is lower than it’s ever been based on the chart, at 91.9mph. His previous slowest year was 92.8mph. No movement on his fastball. It’s a batting machine fastball. He desperately needs a 2-seamer, splitter or cutter…something that isn’t straight and on a platter. Jumbo and Hoover had their chance. The Reds need to find other options. Agreed. I think this is a fine opportunity for the Reds to test out alternatives, maybe pick up a middling starter and make him a closer. Maybe close by committee or adopt a more situational philosophy. It can’t really get much worse than it is. As far as immediate options, Blake Wood comes to mind. They wanted him enough to offer him an MLB contract to lure him away from the Pirates org where he was the AAA closer last year. Perhaps the reason Sampson got handed the short straw when Moscot was activated was to get Sampson to AAA where they can work on developing him as a back end guy. He seems to have the stuff; and, in his brief trial as a starter last year seemed to be able to get guys out on the 1st pass through the line up. Hitters are reading Hoover’s pitches with significantly increased ease and success. I would wager, without seeing the data to back it up, that hitters are barreling up Hoover’s pitches a lot, producing much higher exit velocities on batted balls. With the drop in velocity, the inability to throw strikes, the lack af variation in pitched velocities, and increased pitch recognition, Hoover does not have a lot to fall back on in order to gain even a modicum of success. Hopefully he can pull things together and become more effective on the mound, but the deck appears stacked against his chances. I’d like to know whoever thought we would have guys like Hoover to fall back on if Chapman was gone. I have never thought JJ Hoover or Jumbo Diaz were adequate enough to stay with the club unless we were extraordinarily short on arms. I was so very disappointed when it was announced in spring training that Hoover would be the closer. Maybe the market for closing arms is more bare than I realize, but surely there is a free agent or prospect (I am not sure of service time issues) that we could find?? Hoover allowed a .196 batt avg against last year and .208 for his career. For anyone not named Chapman that’s pretty good! Hopefully he’ll get it going and atleast be a Coco type…although he drove me crazy too! He’s only blown 1 save and its been very cold so lets not rush to judgement yet! The most important objective for this year is to determine who can pitch. There are a number of guys on the DL and eventually Hoover’s opportunities will become fewer and farther between. The rules require that the Reds have a pitcher each inning and they just need bodies right now. Your points are valid. Very little is settled on this club and therefore angst should be kept at a minimum. There seems to be 3 types of successful closers: (1) The elite pitchers with extraordinary stuff (i.e. Chapman & Kimbrel) who are paid a hefty salary and underutilized or (2) The internally developed prospects with strong arms and superior stuff (i.e. Rosenthal & Jansen) or veteran FA signings. 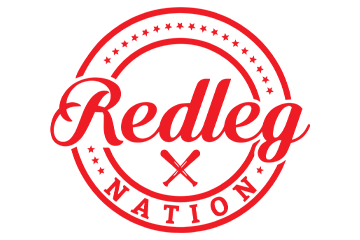 The 1st and 3rd groups are simply not available (and shouldn’t be available) to the Reds due to budget constraints and the unreliability of relievers. The 2nd group are where the Reds need to mine for a successful closer. I believe the next successful closer is already within the Reds organization, just not on the major league roster yet. That individual ciould come from the plethora of starting pitchers competing for a spot in the rotation now (i.e. Lorenzen, Moscot, Lamb, Finnegan, etc.) or in the future (i.e. Davis, Wright, Romano, etc.) or from a pitcher developed as a reliever (i.e. Somsen, Sampson, Peralta, Astin, etc.). Unfortunately, the Reds have under-valued top reliever prospects within the system and used them for trades rather than replenishing the major league bullpen, then trying to stock the major league bullpen with bargain basement FA or castoffs from other teams. Let’s hope that the next GM has more savy in roster management throughout the minor league system than the prior GM. Hoover is currently last in the major leagues among relief pitchers for RE24. Meaning, the sum of all his at-bat-to-at-bat changes in run expectancy is worse than anyone else, all while only pitching a few innings. By RE24-based WAR, he’s at -0.9, meaning for his career he is now a below-replacement-level player. To sum it up…yes, a batting-T has a better chance of getting hitters out than JJ Hoover. Uh, oh, he just struck out a batter! This may be simplifying it too much, but it just does not appear Hoover does well in high-pressure situations. John Fay posted a tweet after Hoover’s grand slam to the Pirates that stated his opponent average with the bases loaded was .448 with 5 grand slams. That was before Hoover’s meltdown last week vs. the Cubs, which raised the average even greater. Great article. I think you hit the nail on the head with JJ throwing more sliders and than off speed pitches. A batter is going up there looking for one of those two pitches. If he does start too throw more off speed ( change up or curveball) it would make hitters more honest about the difference speeds at least. However, he still needs too over come those situations when the pressure is on in the bottom of the ninth with runners in scoring position. Hoover has struggled. I wish him the best, however I see Wood or Lorenzen as the closer later this year. 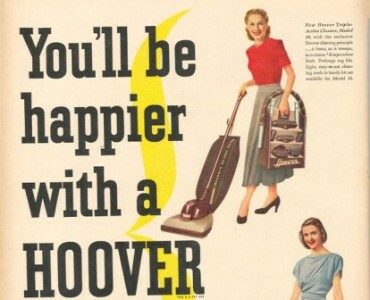 I never felt Hoover should have been anointed the closer. If he earned it with his ST performance, then alright. But, with what we had coming in, I felt we should almost be going with a “closer by committee” type of scenario. Almost like give each RP a “tryout” with each game. Then, after 1-2 months, see who can be “dropped” from the idea and if one definitely stands out. Repeat process until one stands out. I feel sorry most for Cingrani. He went from being a starter to a LOOGY? That’s simply stupid and a waste of talent if you ask me. I mean, I can understand bringing him in with the lefties coming up. But, once he gets past them, he can still pitch to right-handed batters as well. I just read that Price is going with what I thought we should in the first place, a “closer by committee” C Trent puts it, to see who can step up. Hoover needs to go back to the freaking basics. He has blown it twice now and almost blew it last night. Price keeps saying he has confidence in him. Well that is nice but fans can only take so much. Price rethink who our closer is. And my other issue is why pull Cingrani out after a great time at the plate last night to use Hoover. Can I just say stupid choice. Please don’t do that again.